You’re a sick senior citizen and the government says there is no nursing home available for you. So what do you do? 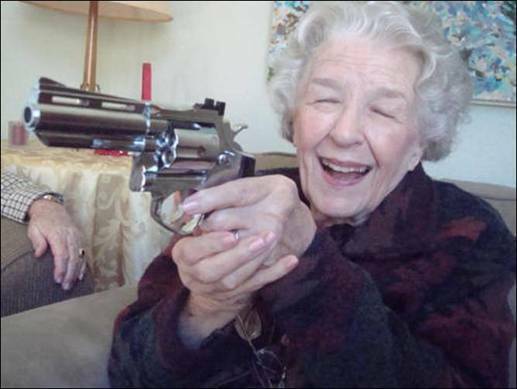 Our plan gives anyone 65 years or older a gun and 4 bullets. You are allowed to shoot four Politicians. Of course, this means you will be sent to prison where you will get three meals a day, a roof over your head and free medical treatment. As an added bonus, your kids can come and visit you as often as they do now. And who will be paying for all of this? It’s the same government that just told you that you they cannot afford for you to have a decent pension. Plus, and because you are a prisoner, you don’t have to pay any income taxes anymore.